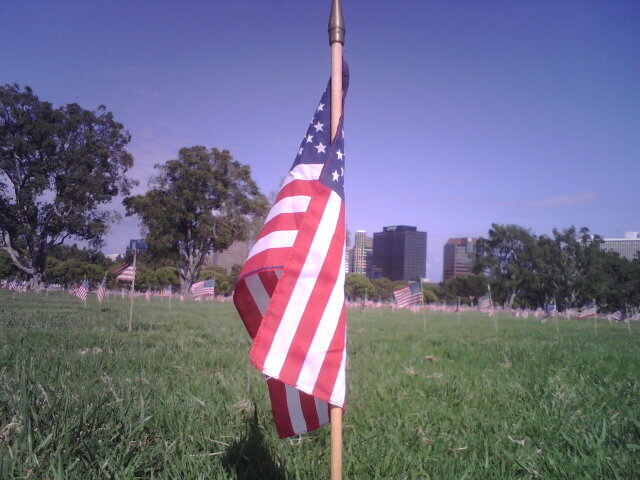 Memorial Day 2008: Thank you. 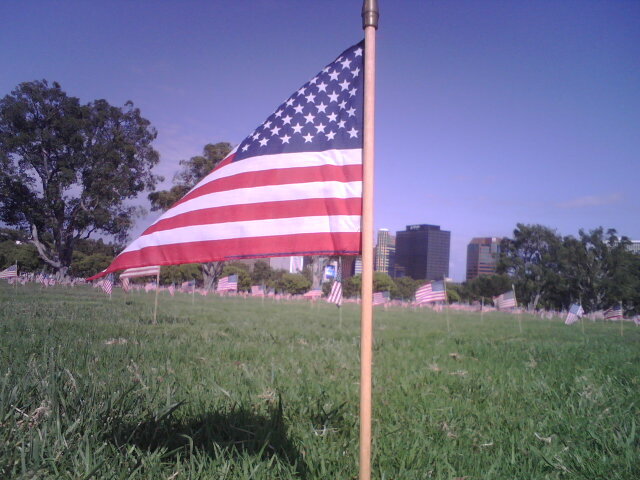 I once visited a U.S. military cemetery in Luxembourg. 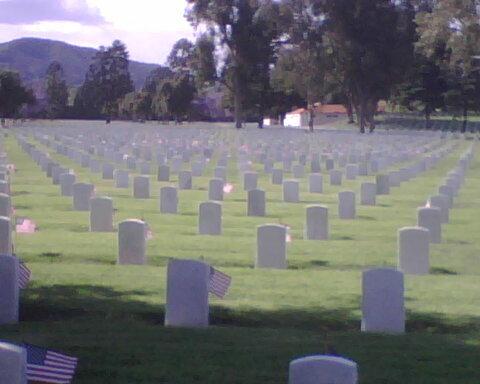 It wasn’t as big as Arlington or even the Los Angeles National Cemetery pictured below. 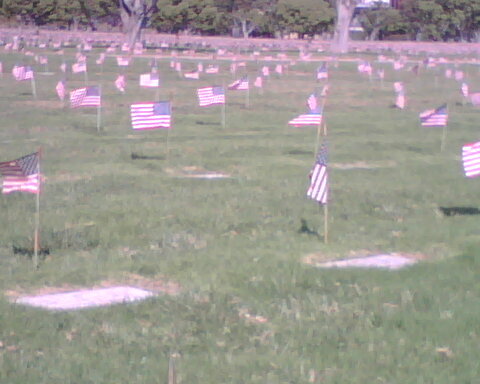 Still, there were hundreds and hundreds of white grave markers. The names were all different, of course, as were the dates of birth. 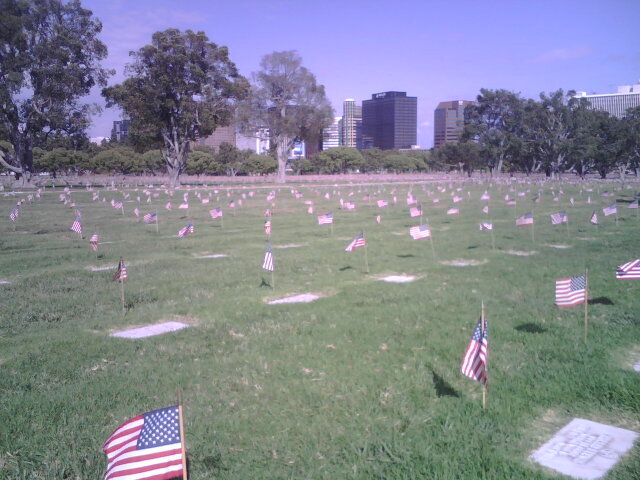 For hundreds of them, however, the date of death was the same.